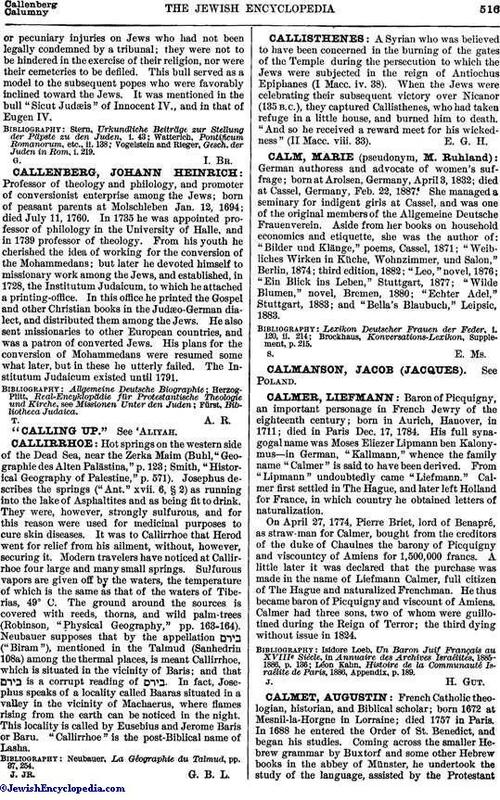 A Syrian who was believed to have been concerned in the burning of the gates of the Temple during the persecution to which the Jews were subjected in the reign of Antiochus Epiphanes (I Macc. iv. 38). When the Jews were celebrating their subsequent victory over Nicanor (135 B.C. ), they captured Callisthenes, who had taken refuge in a little house, and burned him to death. "And so he received a reward meet for his wickedness" (II Macc. viii. 33).